Are you dealing with termites in Texas, or are a homeowner who wishes to have his/her investment inspected for termites? At ECS Home Inspections, we provide top-notch termite inspection and eradication services at affordable rates, and can provide you with the services that you seek. Call us at (512) 387-2689 to learn more about how we can help, and to schedule an appointment with a qualified Texas home inspector today. 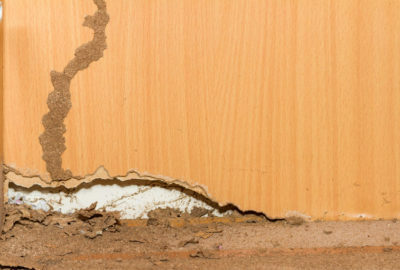 Termites are particularly destructive for several reasons. They travel quickly and discreetly, burrowing out dwellings in hard-to-access areas of your home. Worse yet, they never stop eating and, as a group, are working away at the structural integrity of your home for 24 hours a day! This means that late detection tends to have catastrophic effects as the damage is rather extensive by then. The National Pest Management Association estimates that, yearly, termites cause over $5 billion in property damage. This is why overlooking this risk or neglecting a small infestation is a huge, costly mistake. Fortunately, a qualified professional can help keep your pesky guests in check and mitigate the risks that termites pose to homeowners before the damage has spread. In addition, a home inspector can evaluate a future home that you are planning on moving into to help provide you with the peace of mind that neither termites, nor any other hazard, is present in your soon-to-be residence. Upon arriving at your home or building, our inspectors work rapidly to identify signs of termites. These signs can include carved-out tunnels, damaged structures, and damp wood. Once the presence of termites has been confirmed, we proceed to design a solution that best fits your specific circumstances. Our priority is fully eradicating these destructive pests from your home as soon as possible. With ECS Home Inspections, you get peace of mind that you are entrusting your inspection needs to reputable professionals. We fully comply with InterNACHI’s Standards of Practice and Code of Ethics, and offer additional add-on services such as insurance for general liability, negligent liability, and E&O.